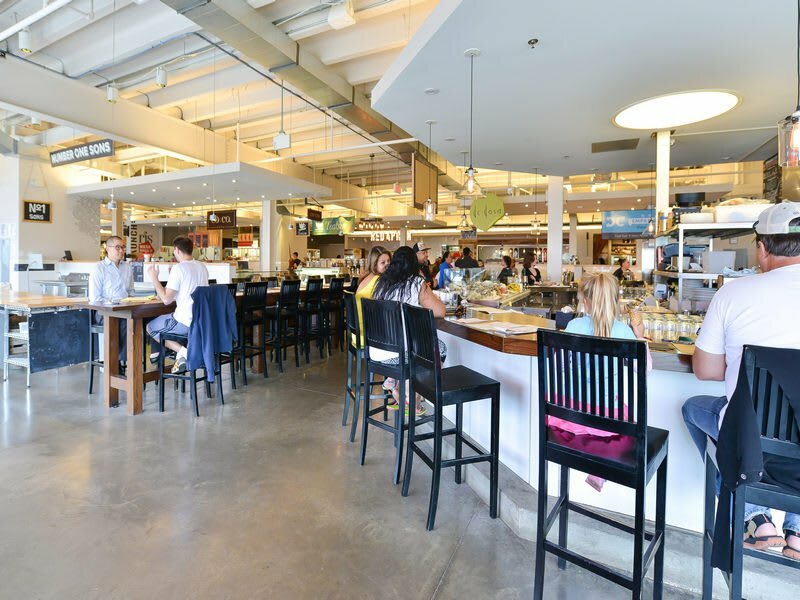 Bordered by the better-known communities of Bloomingdale and NoMa, Eckington is a laidback DC neighborhood with a lot to offer. 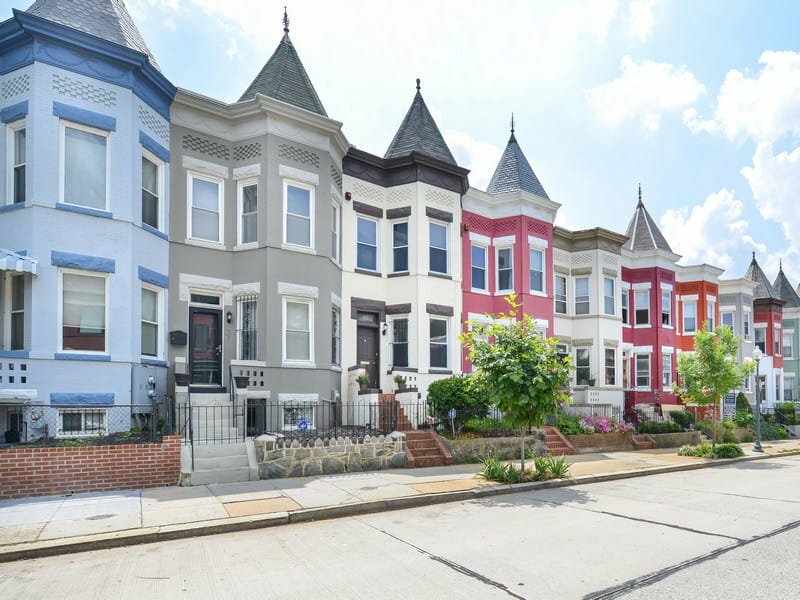 While it lacks the name recognition of nearby neighborhoods, Eckington’s colorful rowhouses are familiar to millions, showing similarities to its close neighbor, Bloomingdale. 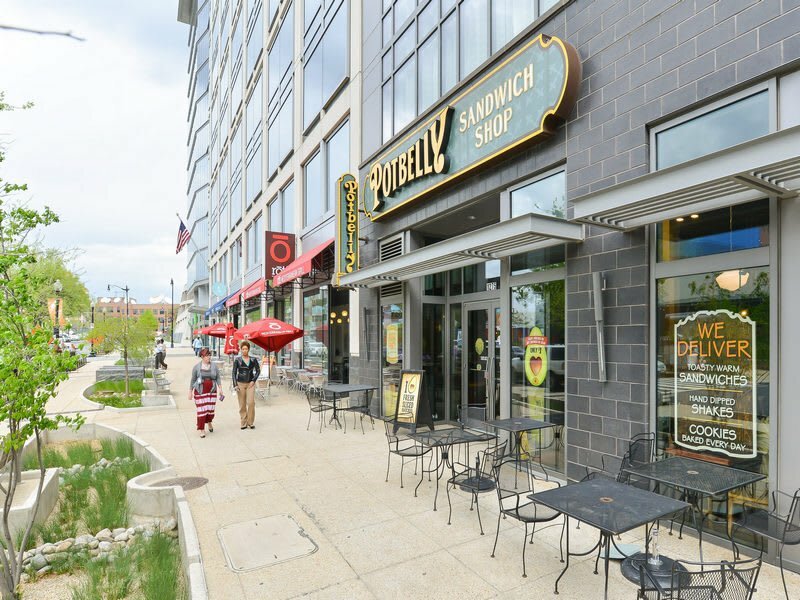 A quiet urban neighborhood that boasts excellent transportation links, Eckington is close to downtown and just moments from the many restaurants and coffee shops of nearby Bloomingdale. One of DC’s oldest residential neighborhoods. Modern-day Eckington occupies the former site of the summer estate of Washington mayor and newspaper editor Joseph Gales, Jr. Gales sold the estate to developer George Truesdell in 1887, and the neighborhood subsequently flourished with the establishment of square blocks, rowhouses, apartment buildings, and a streetcar line. 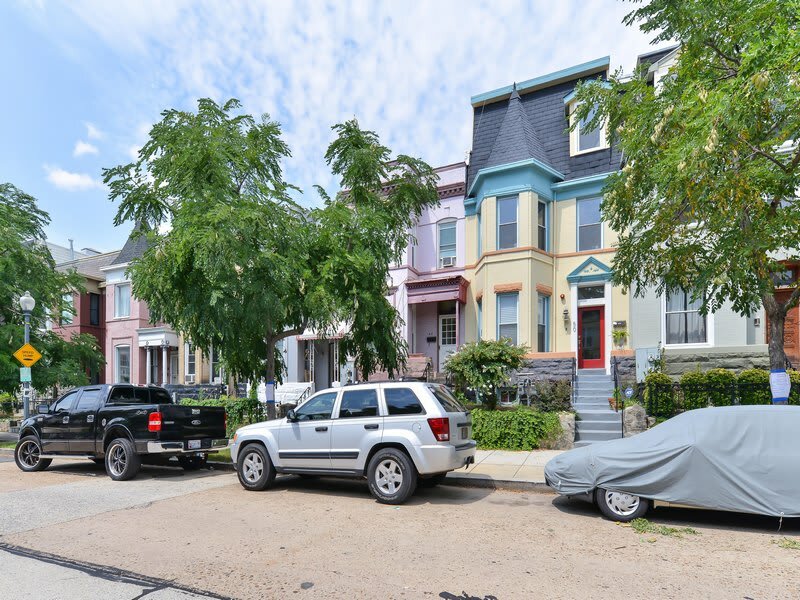 The calm residential character of modern Eckington has changed little since Truesdell’s development, giving the neighborhood a timeless charm. A quiet haven within easy reach of downtown. 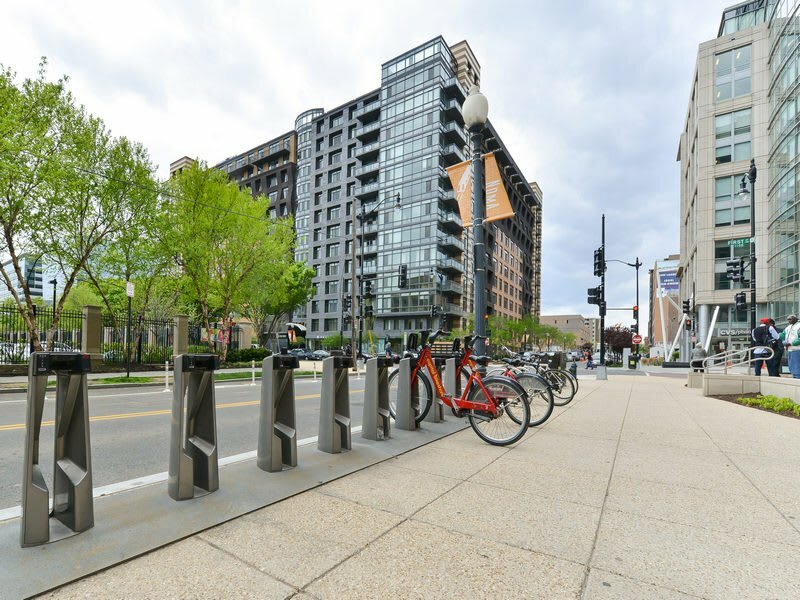 Eckington’s proximity to downtown and relative affordability have made the neighborhood a popular choice among young urban professionals. Residents enjoy a rare balance of tranquility and neighborliness with easy access to the many cosmopolitan amenities in the surrounding areas. There are also numerous schools within Eckington, including the highly-rated McKinley Technology High School. 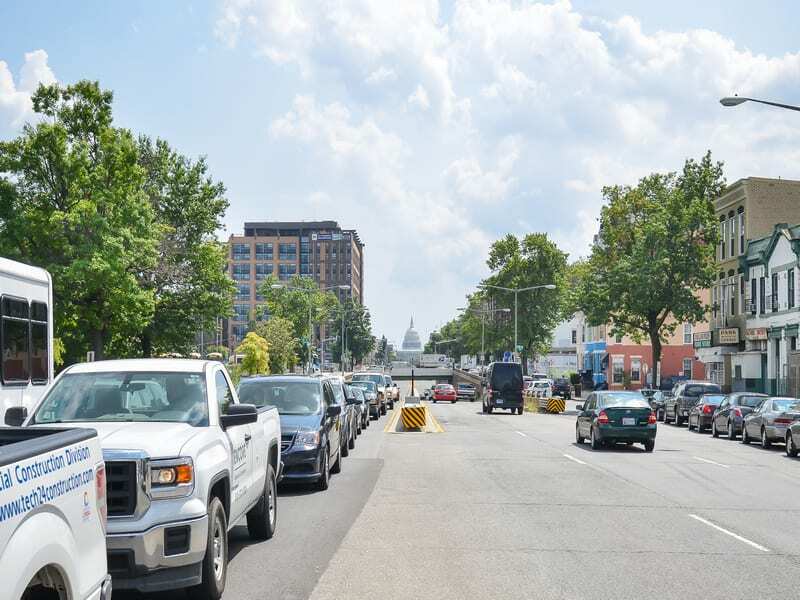 A picturesque and welcoming residential neighborhood near the heart of downtown DC. 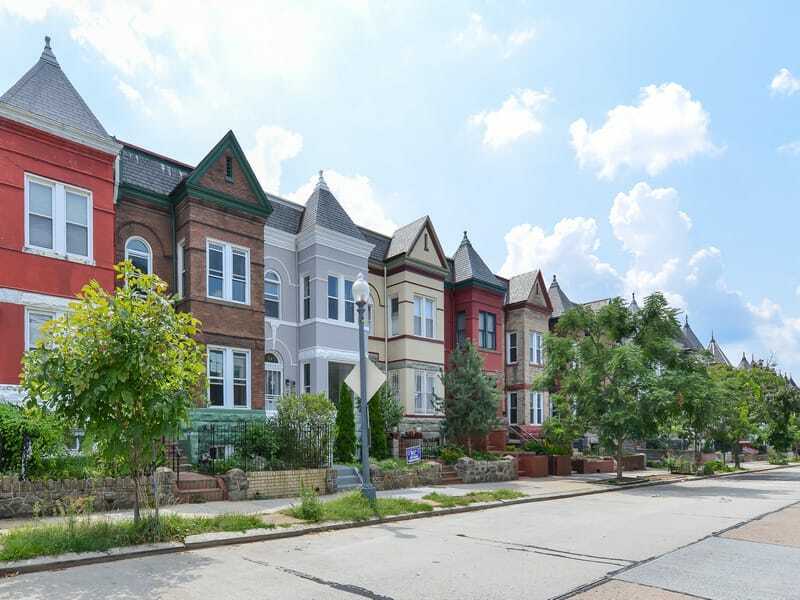 Eckington is a beautiful neighborhood characterized by mature elm trees and vibrant rowhouses. Brilliant blues, greens, greys, pinks, slates, and yellows stand out along streets lined with neatly-manicured lawns. 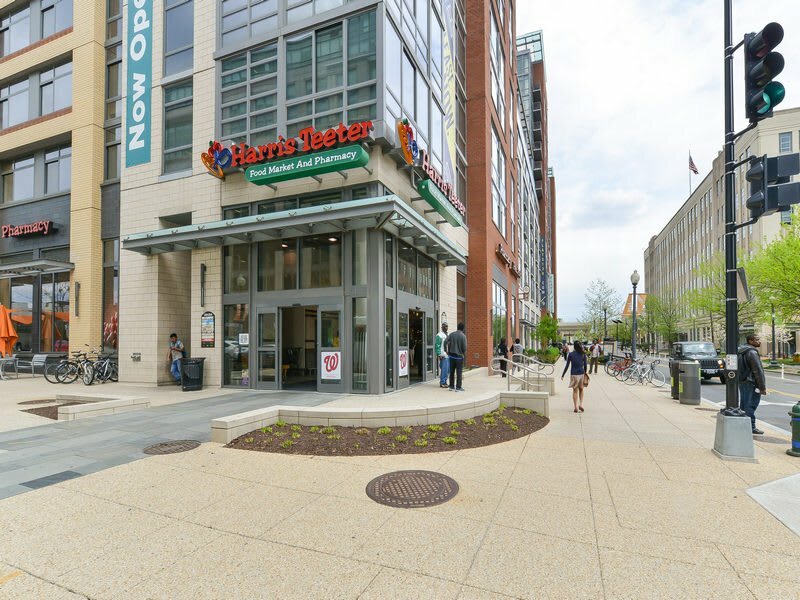 Eckington’s proximity to downtown is one of its biggest attractions, but residents here also enjoy some of the city’s finest hidden green spaces. In recent a years, a successful community-led campaign saved the beautiful historic vistas of Eckington’s McMillan Park from development. The eight-mile Metropolitan Branch Trail runs from Union Station to Silver Spring. 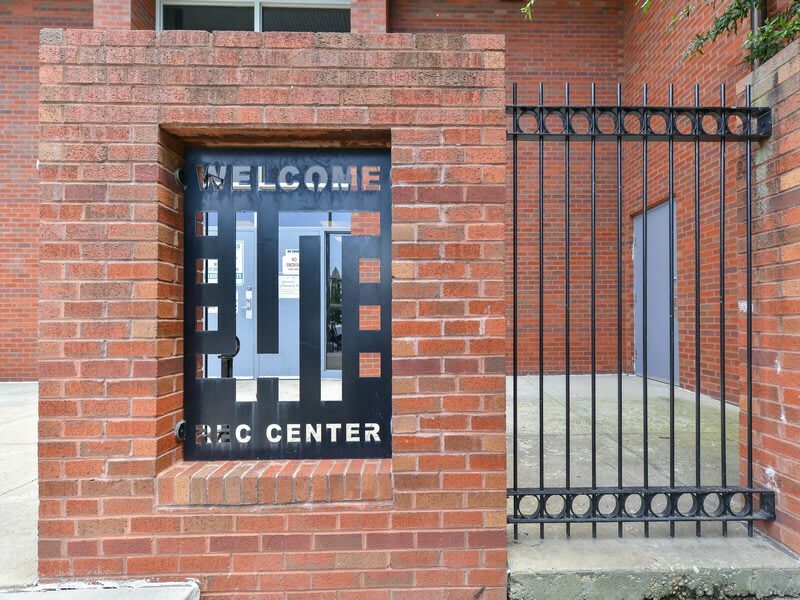 Eckington also features the recently-renovated Harry L. Thomas Recreation Center, as well as being situated near the 412-acre National Arboretum. A neighborhood with a growing reputation and excellent long-term prospects. 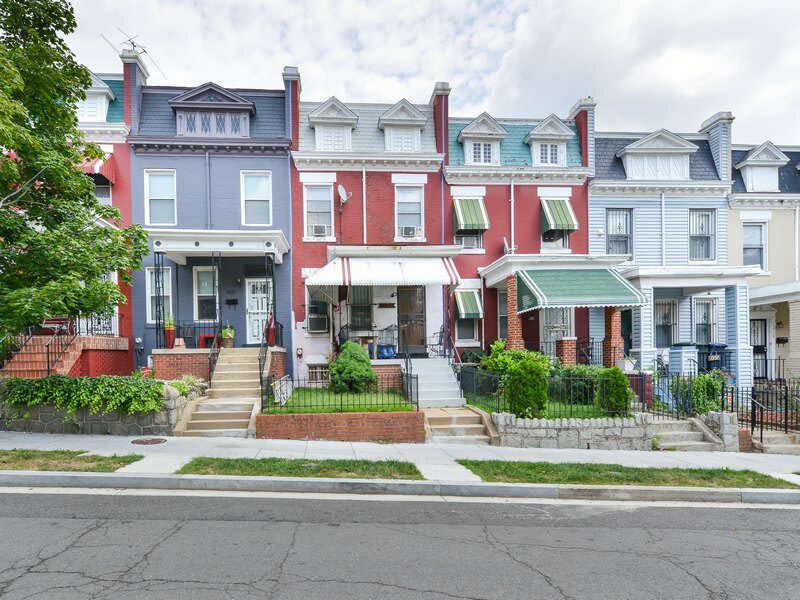 Eckington is one of the city’s most historic neighborhoods, with its heritage apparent amidst views of steeply pitched roofs and Victorian-style rowhouses. There is also a wealth of architectural diversity, with taller apartment buildings and flat-roofed Federal structures mixed in with the distinctive bright-colored rowhouses. 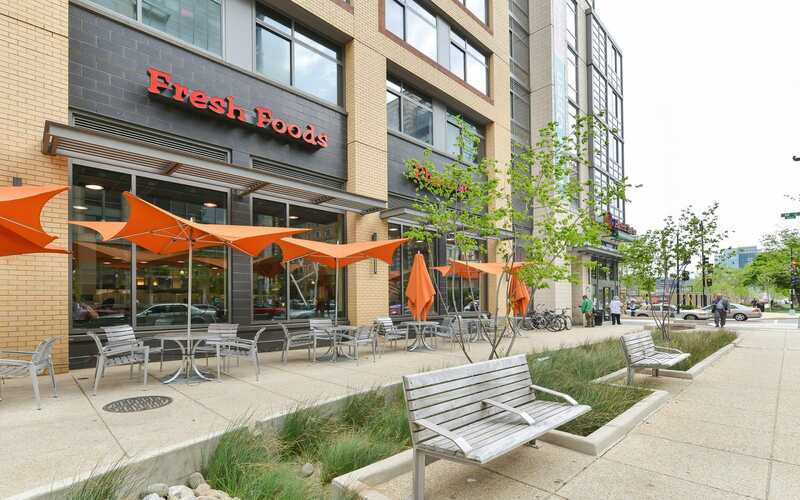 Newer commercial and residential developments are springing up at the neighborhood’s edge, including NoMa West and the 21-unit Mint Condominium on Rhode Island Avenue. 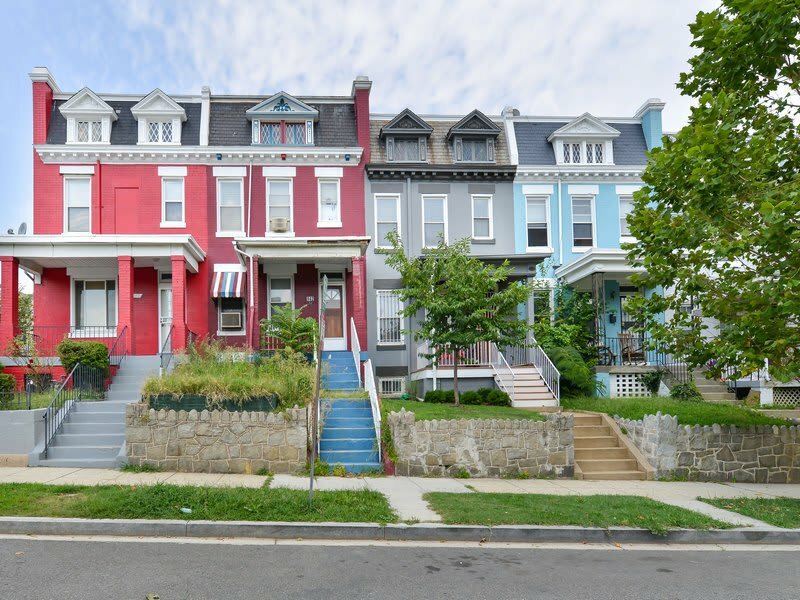 Coupled with Eckington’s current affordability, the neighborhood is likely to experience steady price appreciation in the coming years. Fantastic places to eat and drink. While Eckington is primarily residential, there are a number of excellent local businesses to explore. Big Bear Cafe is one of the neighborhood’s most popular spots. Its cobblestone patio fills up quickly on weekends characterized by flowering herbs and native vines. 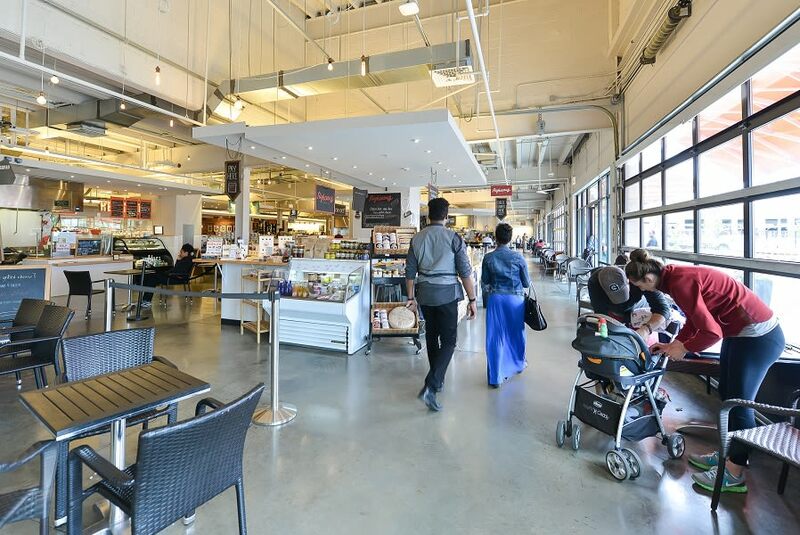 Visitors enjoy a tranquil outdoor ambience or a stroll through the Sunday farmer’s market. Excellent barbecue sandwiches are available from DCity Smokehouse. The Washington Firehouse is another excellent local restaurant, serving steaks, burgers, and beers in a converted 19th Century fire station.